Famed as the 'God's own country', Kerala exudes an ethereal charm. Besides the heavenly natural beauty, the state offers unmatched experiences which help to curate memories of a lifetime. From enthralling boat races to romantic walk amidst scenic tea estates and gushing waterfalls to tranquil backwaters, everything is so magical. Just like the eternal beauty of the majestic land, the list of experiences in Kerala is never-ending. A honeymoon in Kerala make you cherish unparalleled romantic experiences that last lifelong. Strolling amidst the scenic tea estates in Munnar, watching the Neelakurinji bloom or swimming in the Arabian Sea cast a spell. In addition to these, sipping a perfect cup of coffee at the place where it grows, completes your romantic date. Further, the tranquil backwaters in Alleppey offer the desired respite to the serenity-seeking souls. Sailing aboard the kettuvallams and spending days on houseboats are the best things do in Kerala that offer a soothing experience. Next, on the list of Kerala experiences, is watching the working of Chinese fishing nets in Kochi coupled with spectacular views. The enchanting sights are treat to the eyes. Try your hands at fishing or just admire the beautiful environs. Though there are many lures that urge you to plan a Kerala trip, but nothing is as compelling as the Ayurveda therapies. The rejuvenation offered by the best-kept secrets of Ayurveda in Kerala helps discover a new you. Home to the world-class spas and Ayurveda therapy centers, the state definitely excels in providing reviving experiences. Not only the Ayurveda or backwaters in Kerala but also the fascinating culture of the state lure scores of tourists. Revel in some unique experiences in Kerala by watching a Kathakali performance and other art forms in Thrissur. Moreover, the exuberant festivals present a unique spectacle. The pilgrimage sites in Kerala deserves equal mention. As important as other must-visit destinations in Kerala, the shrines like Sabarimala are the hub of strong faith of devotees. The spiritually enlightening sojourn to the sacred places bestow a divine experience. Trying your hands at enthralling adventure activities is an obvious answer to the question what to do in Kerala. Innumerable beaches of Kerala allow you to pacify your adrenaline rush. From awe-inspiring wildlife safaris to breathtaking water sports, everything evokes the daredevil in you! Kerala also remains on the bucket list of avid travelers notably for its culinary delights. The flavors of the authentic South Indian food lingers in your mouth for long. Don't forget to savor scrumptious payasam, puttu and kadala or Naadan Sadhya on your next trip. Other unique things to in Kerala include staying in a tree house and visiting the heritage sites. Get pampered by planning to stay at any of the five-star hotels in Kerala. 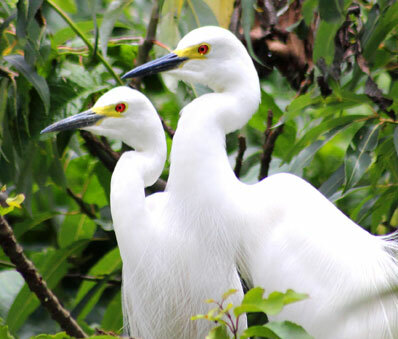 Above all, don't miss the best of the sights and sounds at the Kumarakom Bird Sanctuary. Owing to so many of tourist attractions, Kerala never fails to amuse visitors with delightful experiences!